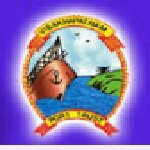 Visakhapatnam Port Trust Medical officer recruitment 2016-17 apply online : Visakhapatnam Port Trust welcomes application for the position of chief Medical Officer vacancies. Candidates who completed their MBBS, Post Degree, PG Diploma is a good opportunity.The individuals who are the occupation seekers searching for govt employments in Andhra Pradesh this is the best chance to apply. Competitors read the official notification then read all the guidelines and miners precisely then apply before the last date online application got. All the interested and eligible candidates can apply before 11th August 2016. Academic qualification details: Candidates should have MBBS degree from a recognized university with a post – graduation (PG) Medical degree or post – graduation diploma in the specified specialty from a recognized university and post – qualification experience of 16 year in case of post – graduation holders and 18 year experience in the case of Post – graduation diploma holders in the relevant field of specialization in a reputed hospital. Process of applying for the job: Candidates may apply in prescribed application form along with self – attested copies of relevant documents certificate / experience certificate and two recent passport size photograph send to the Secretary, Visakhapatnam port trust, Visakhapatnam:- 530035 on or before 11th August 2016. Important Dates: Last date for the submission of online application is 11th August 2016.